X-rays are an essential tool in every dental office. They allow your dentist to see problems before they develop and they serve as a visual aid in more complex procedures like root canals. Located in Lancaster, California, the modern offices of Lancaster Dental Group: A Wechsler Family Practice are equipped with state-of-the-art digital X-ray technology to give their patients a wealth of advantages in the diagnosis and treatment of their oral health. To learn more about how digital X-rays can benefit your smile, schedule an appointment today by calling the offices or using the convenient online booking tool. How are X-rays used in dentistry? X-rays also allow Dr. Wechsler to pinpoint tooth decay and bone loss and keep tabs on the healthy development of your teeth. They also serve as an essential visual aid in root canal procedures. X-rays use radiation to produce images of the inside of your mouth, which can make some patients uneasy, but the amount of radiation that you’re exposed to during an X-ray is not considered particularly harmful. Even so, at Lancaster Dental Group: A Wechsler Family Practice, Dr. Wechsler uses digital X-rays in his diagnoses, which are even safer than the already-safe traditional X-rays. Because image processing in digital technology is so quick, it’s estimated that digital X-rays cut radiation exposure by up to 90%. However, digital X-rays carry a number of advantages over traditional X-rays, beyond the minimization of radiation exposure. Because there’s no need to process and develop film, digital X-rays are ready to be viewed much more quickly than traditional X-rays, which cuts down on the amount of time you have to spend in the dentist’s chair, not to mention dispenses with the need for toxic chemicals to develop the film. With digital X-rays, Dr. Wechsler can immediately adjust a number of image qualities, such as brightness and contrast, allowing him to pinpoint even the tiniest amounts of decay. Digital X-rays can also be displayed on larger screens than traditional X-rays, which could only be viewed on tiny light boxes. These larger displays make it easier for Dr. Wechsler to share the images with you and educate you on your diagnosis and treatment options. Digital X-rays are also easier to preserve. Instead of having just one copy of the image, as was the case with traditional X-rays, digital X-ray files can be backed up to multiple computers to ensure that they’re safe from damage or destruction. They can also be more easily copied and shared with other professionals or specialists. 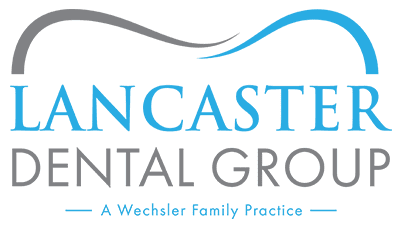 If you’re interested in learning more about how digital X-rays can enhance your dental experience, schedule an appointment today with the dental experts at Lancaster Dental Group: A Wechsler Family Practice. You can call the office or use the convenient online booking tool.